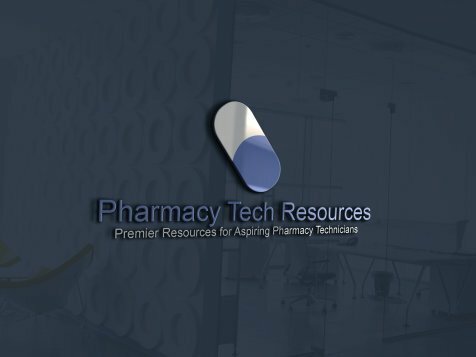 This page, Job Interviewing for Pharmacy Techs, is about things you need to know about your job interview, ways to prepare, and things to keep in mind. Job interviews can be stressful for anyone. The pressure of meeting someone new, having them test your knowledge and examine your background, and then having to answer questions that will determine if you get hired can make anyone nervous. Careful preparation can reduce the anxiety and let you go into your interview more confident and relaxed. We're going to look at some ways to prepare before the interview and then what you need to know about the interview itself. Job interviews start way before you actually walk into the room and shake hands with the hiring manager. You've already dropped off a resume and cover letter, and probably exchanged a phone call or two. Before using someone as a reference, always get in contact with them and ask if it's ok to list them as a reference on your resume. Never assume someone will remember you, especially if it's a teacher you may not have seen for sometime. By calling or emailing them, it will refresh their memory and make sure they recognize your name when the company calls them. Also, when you do talk to your reference, take the time to explain how they can help you. Most people that are used as references simply say nice things, in very general terms. You want to stand out from the pack, so your references can help you land your dream job by being very specific. Instead of saying, "Yes, he is trustworthy and got along well with people", have them use a very specific example. Employers need to know you can show up, handle tasks responsibly, and work well with a variety of people. Any example that highlights one of those qualities is a winner. Mention the time that a snowstorm made the city come to a complete shutdown and you were still able to make it to work on time, and your reference has just cemented the idea that you're reliable and dependable to the hiring manager. That makes a much better impression that just saying that you're a nice guy. After you know your references will say great things about you, it's time to prepare yourself for the job interview process. A day or two before the interview, scout out the location if you're not familiar with it. It's extremely important to be early to a job interview, to give yourself time to get there and settled in. Never ever be late. This first impression when you meet your interviewer is crucial to successfully getting hired, so it's worth spending the extra time that most other people won't. Always show up to an interview properly dressed and rested. Avoid alcohol the night before and make sure you get plenty of sleep. If you're not sure how you need to dress, always err on the side of being more formal rather than less. Dress modestly and professionally, so the focus of the interview is on what you can do. When you make it in for the job interview, there are a few things to keep in mind. First, remember that hiring managers want to find good employees. Everyone they interview will have the technical skills to be a Pharmacy Technician, or else they wouldn't make it to the interview stage. So while you need to be prepared and comfortable answering any technical questions, you also want to make sure to sell yourself as a good fit for the company. Most people spend an interview trying to impress the manager with how much they know. But it's also important to show that you're reliable, dependable and that when you aren't sure what to do, you'll ask someone for help. When you're working in a pharmacy, you have access to all kinds of information, plus a pharmacist on-site. Don't be afraid to say that you need to look up the name of a medication or a correct dosage, it's much better than guessing. If you routinely guess when you're not sure, that will lead to mistakes and liability issues for the company. This is one thing all pharmacies have to worry about. So emphasize that you're competent and qualified, but also willing to ask for help when you need it. When you answer questions, take a moment to think before you speak. Consider your answer and then speak deliberately. Avoid using “umm” and “uhh” as much as you can. Practice answering questions beforehand. If you can, partner with someone you don't know very well. Friends are less intimidating, but you already know how to talk to them. Practicing with someone you don't know as well will give you a chance to handle a little pressure. The other major thing to focus on during your interview is any nervous habits you may have. We all have little things we do when we're nervous, whether it's fidgeting or bouncing your knee. The more calm and collected you can be, the better impression you'll make on the interviewer. After you get hired, there will be days when you have a line of customers to help, someone is screaming and the phone is ringing. The stress of the job itself is much more than the interview. So if you can't stay calm and composed during the interview, you're already sending the message that you're not the right person for the job. Get control of yourself with some deep breaths and take a little time to think before you answer questions. The interviewer will want to test your technical knowledge, but also get to know you a little. And when it's all said and done, people want to hire people they like and feel good about. Always follow up promptly after an interview, within three days. Even if you don't get hired, stay professional and thank them for the opportunity. By keeping that contact warm, you can get hired or an early opportunity to interview again for the next position they have available. Building a solid professional reputation will help you in the future, in ways you may not even realize.